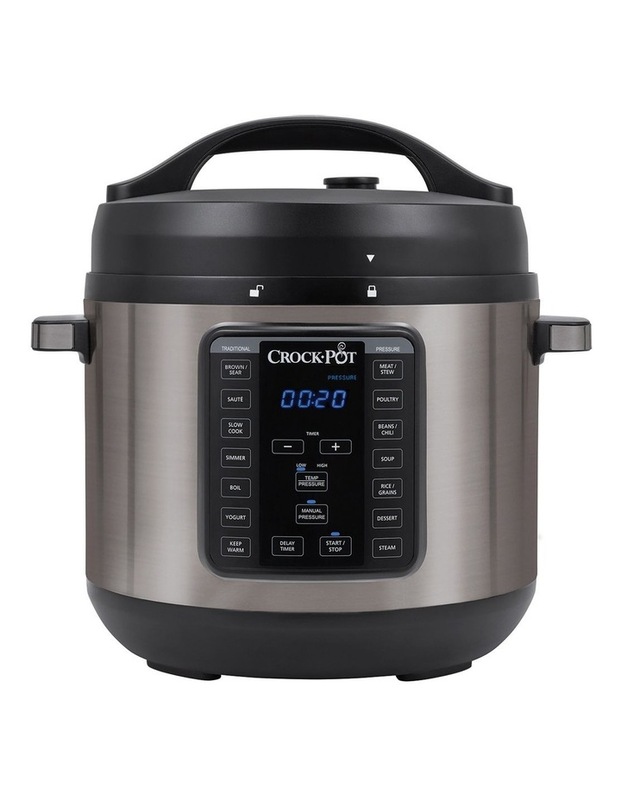 The Crock-Pot Express Crock XL Multi Cooker cancook meals up to 70% faster* than traditional cooking and has enough capacityto serve nutritious, home-cooked meals for large families or parties of 8people or more. Thanks to convenient one-touch settings for variouspressure-cooked meals, you can choose to eat sooner, or you can use the slowcook setting to come back later to a delicious, hot meal. 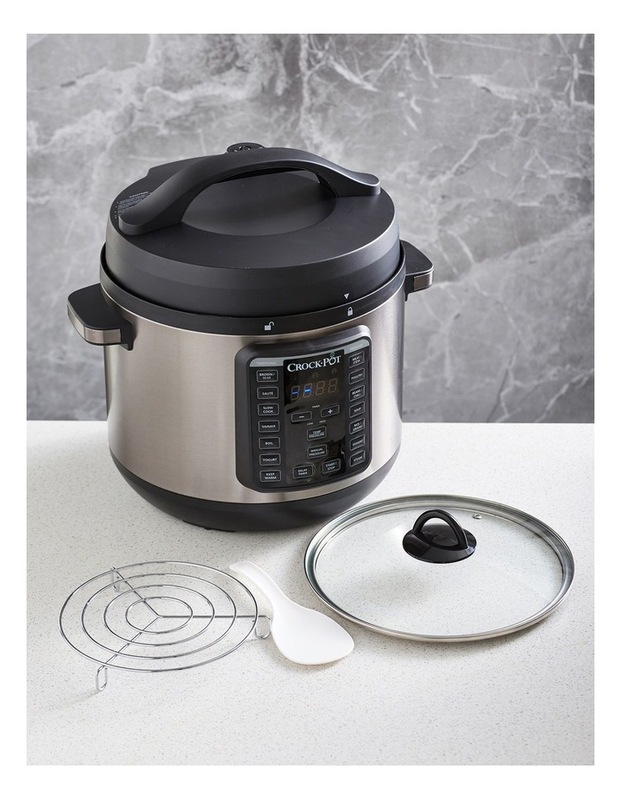 You can also steam,brown, saut, simmer, boil, or use the Manual Pressure setting, making one-potmeals easier than ever. Plus, the bonus glass lid allows for easy monitoring ofnon-pressure cooked dishes.